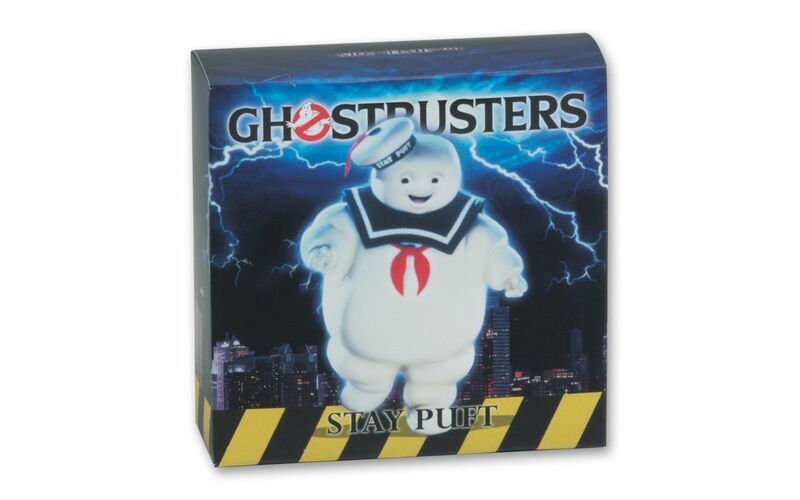 Survive the Romp of Marshmallow Man! In 1984, the world fell in love with a comedy movie featuring Dan Aykroyd, Bill Murray, Sigourney Weaver, and other stars. After crushing it at the box office, it developed a tremendous following that led to a sequel a few years later, a pair of animated television series, video games, and more. The comedic approach to the paranormal gave fans of all ages the chance to laugh at a subject that many consider creepy, though subsequent iterations made it even more accessible to a younger audience. To this day, those who watched Ghostbusters growing up can’t help but smile when they catch reruns or share the experience with their children. 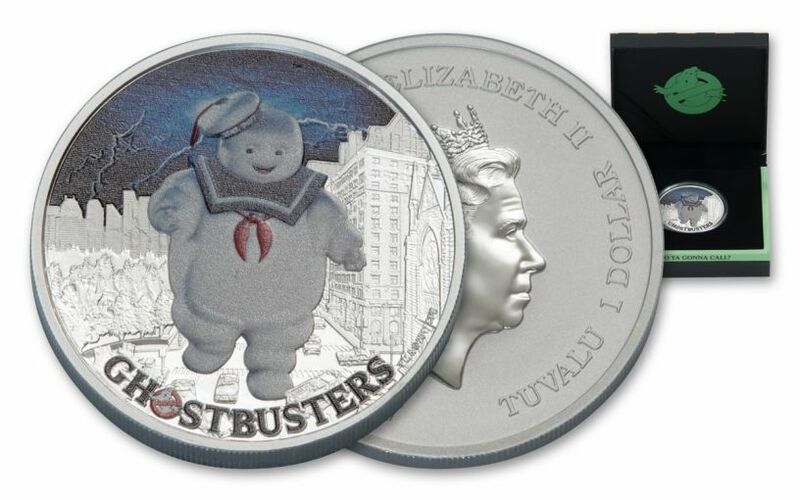 This coin celebrates the biggest ghost in the movie, who terrorized New Yorkers with marshmallow slime. The adorable yet terrorizing creature continues to be associated with the movie today. 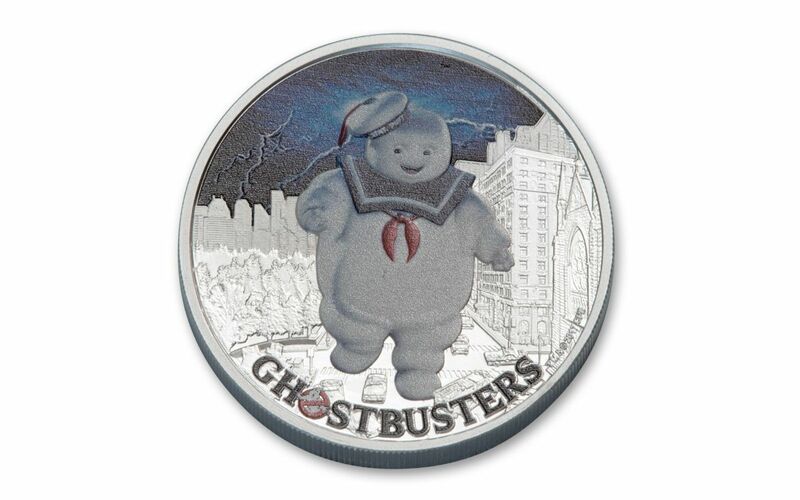 This coin shows him stomping through the streets of New York, which are silver, while Marshmallow Man himself and the lightning-filled sky are colorized. THE SECOND IN THE "GHOSTBUSTERS" SERIES -- This 2017 Marshmallow Man is the second coin in the Tuvalu series, which celebrates the iconic movie. The building-size figure walks through the streets of New York, with drivers trying to dodge the threat. FOUR NINE FINE – This nostalgia inducing coin was struck at the Perth Mint from 1-oz of 99.99% fine silver, which matches the highest purity among popular bullion coins throughout the world. 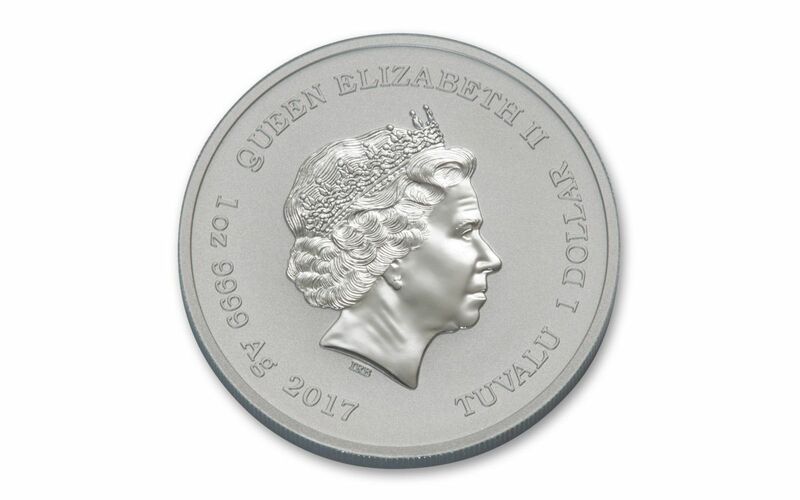 TUVALU LEGAL TENDER -- Each 2017 Silver Marshmallow Man is $1 legal tender on the island nation of Tuvalu. The country of just over 10,000 inhabitants is well known for mixing traditional island music with contemporary styles. 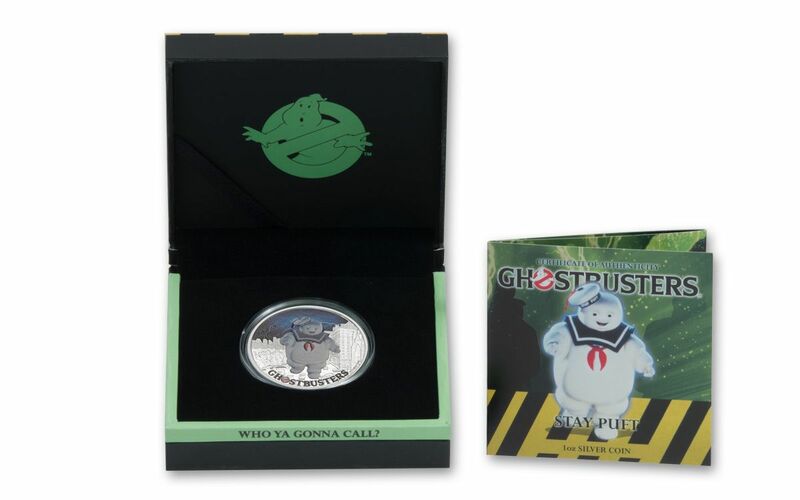 EXCELLENT EXTRAS – The coin comes in a Ghostbusters display case, which has the movie logo on top. It also comes with a numbered Certificate of Authenticity that is enclosed in the case. A LIMITED MINTAGE – Only 5,000 Marshmallow Man coins were issued, a low number considering the movie’s tremendous following.